The ability to stay cool when situation becomes challenging requires a great degree of personal control. But, what’s most important in today’s customer service environment is not just how well a frontline rep can handle one particular challenging interaction, but how well he can handle the next one. And the one after that. And don’t forget to smile while doing it. It’s called control quotient, or CQ. In short, it’s the ability to take control over interactions with customers. People with high CQ are naturally better at personal control. In sport, this psychological quality is called a short memory. Having a short memory might be one of the most valuable assets a player can have. A tennis champion who was two points away from winning the Wimbledon, comes back the next year without dragging that negative experience in a way that impacts his future performance. He moves on. Clearing the mind of the latest mistake and moving on is often what makes a difference between pro and champion. When a champion loses a gem – he moves on. 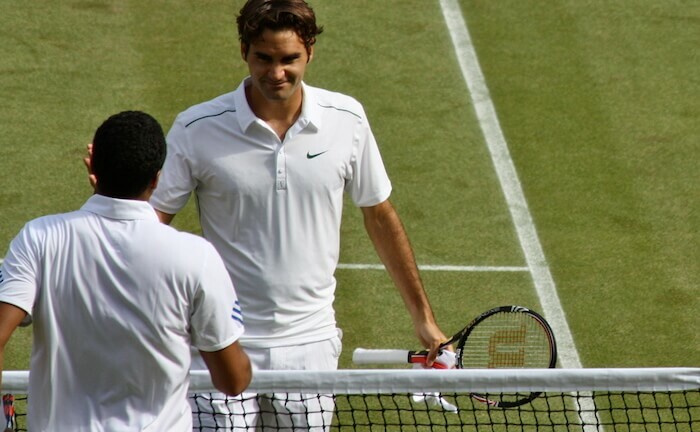 When he makes double fault – he moves on. A tennis player serves anywhere from 150 to 200 serves in a match and he will return a similar amount. There’s no point dwelling over previous shots. „It helps to have a short memory. You have to be able to brush off a bad loss to compete next week”, said Andy Roddick, former professional tennis player and World No.1. You shake off the negatives and get back into a positive mindset. You’re already engaged in the next ball, match or next tournament. As if the bad thing never happened. According to the authors of the book “The Effortless Experience”, CQ has the biggest impact on increasing the rep’s performance in today’s service environment. The other ones are: basic skills and behaviours, advanced problem solving (IQ) and emotional intelligence (EQ). Reps with high CQ are resilient, take ownership over customer issues and respond well to a criticism. They also have the ability to bounce back from a negative or emotionally challenging experience with one customer and then, no matter the outcome of this interaction, bad or good, they are able to start fresh just seconds later with the next customer. In the analysis of 1,320 reps, it turned out that only about 6 percent of reps have little to no CQ. 30 percent already had high CQ. But, fully 94 percent of all reps – average employees – have at least moderate CQ, which can blossom under right conditions. We can observe it along companies. While CQ doesn’t vary all that much by individual, it varies a lot from one company to the next. That’s why we can definitely extract high–CQ and low–CQ companies. And the key that unlocks CQ potential is not the training or people – it’s the environment. It’s the work environment those people are subjected to on a daily basis that enables higher rep performance. In fact, it wouldn’t be a stretch to say that if you were to transplant the entire frontline workforce of a low–CQ company into the environment of a high–CQ, their performance would immediately increase. And the other way around. So, what differentiates these two environments? In high–CQ companies, reps feel that they are free to do whatever they think is right to serve the customer. But it’s not about permitting total anarchy at work. There’s a middle ground between that total freedom and tightly restricting every rep’s action. In low–CQ companies, reps’ job is to stick to the game plan that’s already been scripted. They stiffly go through every point on the list, with no variation from one customer to the next. This approach would work, if all customers were exact the same. Well, they’re not. They’re unique, with different personalities, needs and expectations. It is graded as a „good job” because rep does everything he or she is hired for – follow the rules. Meantime, for a customer, that’s the opposite of a good service. So, how companies can create high–CQ environment and enable CQ potential in their employees? 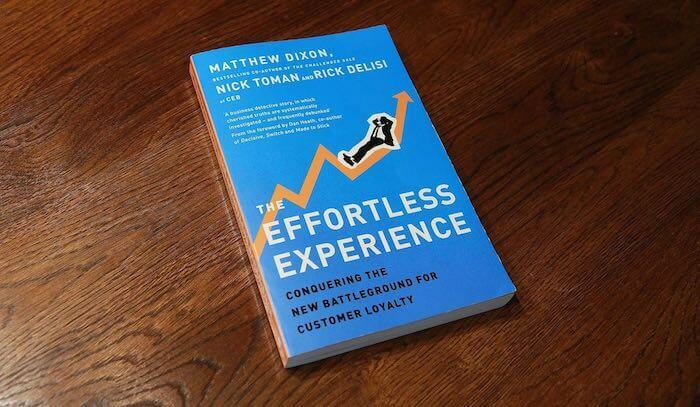 The Effortless Experience authors brought up three factors, which transform average company into high-CQ company. These factors can be enabled by customer service managers. In high–CQ companies, reps feel that they can do whatever is right to serve a customer. They feel trusted. One way to achieve that is to eliminate the checklist mentality and remove pressure of time from a contact center. By eliminating standard checklist mentality, companies allow reps to be more flexible in their interactions with customers. There are specific criteria to define the mastery levels for each competency. For example, the competency „interaction with customer” has five levels of the mastery: novice, emerging, effective, advanced and expert. We are distracted, interrupt or ask the customer to repeat information provided earlier. We talk over customers and dismiss their feelings. We partially practice active listening skills but race the call too quickly. We use a collaborative and assertive tone during negotiation. We ask questions to clarify. We make a real connection through developing exceptional rapport. We show real insight into customers and their individual priorities. As you see, instead of the typical checklist, they have common sense guidance. The results? Within just a year, the company’s collections team saw an 8 percent increase in customers paying their overdue balances on the spot. They also reported a 50 percent increase in customers who were willing to commit to a specific payment plan. In low–CQ companies, sometimes reps are doing a good job at customer service, but it takes them longer than the average rep to do so. It’s not considered as a “good job”, because of AHT – average handle time. In that kind of environment, when the rep had a long interaction with one customer because of a more complex issue, then the next interaction, no matter how complex the issue will be, is going to be really short. It’s because reps don’t want to ruin their personal AHT. High–CQ companies abandoned the measurement of AHT. After all, how good can you do your job with a clock ticking above your head? Since customers’ expectations for personalized service has begun to rise, it’s time to change the mindset and realize that the quality of the interaction is much more important than handling a conversation as quick as possible. Idle time is when a rep is ready to take a call but there isn’t one in the queue. ATP tells managers how efficient a rep is with all the other work besides talking to customers, like after–call work and other administrative duties. The point is that employees should do their non–customer work as efficiently as possible so they can have more time to talk to customers who need their help. The results of the AHT–to–ATP conversion have greatly exceeded the expectations of the customer service management team. In a period of just one year, overall customer satisfaction went up 15 percentage points. For the average employee, the typical corporate vision seems far away and just too corporate. It’s important to clarify to reps the direct connection between what they do and what the company is trying to achieve. Employees who are engaged are more likely to try harder to perform at a higher level. It’s because they understand and appreciate the connection between their everyday work and the overall big picture of the organization. This sense of connection to the bigger mission is critical to maximize their CQ. One of the Canadian financial services created a process by which each individual rep is able to adopt the company’s service mission in their own unique way. It helps to define what contribution customer service has in achieving company’s goals. The process begins with forming a Rep Committee. The committee members study a company’s values and its mission and then break those down into component parts to find out what it means to reps in their daily work. Next, they figure out what reps could do to impact on achieving a single corporate goal. They create a list of specific actions and present it to the reps. During typical one–on–one sessions with a supervisor, reps chose to which action he or she wants to commit. This helps them see a direct connection between what they do and the company’s goal. “We have witnessed tremendous results. Engagement has increased, absenteeism has decreased, and client compliments have increased more than 20 percent,” said the Director of customer service operations. – Adequate time – companies should enable reps to participate in supporting one another. This support should be part of the job, not something a rep does in its spare time. – True best–practice sharing – reps should share their ideas and thoughts on how to best serve a customer. Especially when it comes to complex issues that don’t have only one right solution or an issue that has never been addressed before. – Receptive reps – reps should be able to help each other, for example, in forums that are not controlled by management. To meet all of the three above conditions, it’s recommended to implement the mix of two ideas: peer coaching and team discussion forum. Fidelity Investments has created a fully rep–owned forum called „Spaces”. The forum is operated exclusively by reps and it helps them in free exchange of ideas. It is moderated only by one rep. This person is responsible for creating discussion topics and generating reports about key rep issues and suggestions that are later presented to management. They also report back about implements and decisions made by management. Each shift has its own „team champion” who maintains the buzz and encourages coworkers to participate more actively in discussions. The suggestions covered a wide variety of issues, including suggestions for how to reduce unnecessary customer call volume, and how to increase operational efficiency. The total savings realized as a result of these successful implementations represented a significant cost reduction for the company, while increasing the degree of peer support and CQ for its frontline staff. Environment influences people’s behavior, their mood and motivation to act. It also facilitates or discourages interactions among people. That’s why it’s essential to have a supportive and positive environment at the workplace. You might want to read Customer Service Quotes and What we Can Learn from Them. A company with high–CQ can activate a rep’s CQ potential. And, in today’s complex customer service, it’s one of the most important competency for reps to possess. CQ gives them control over interactions with customers and ability to bounce back after bad or emotionally charged experience. In high–CQ company, reps are engaged, happy, and they feel support for their health and well–being. They are also empowered to exercise their own judgment and they feel trusted. In result, they deliver desired service experience for each and every customer. And they never forget to smile. Photo courtesy of Marianne Bevis Flickr via Creative Commons.